8 inch black extension to screw into the back of OB Pool Cues. 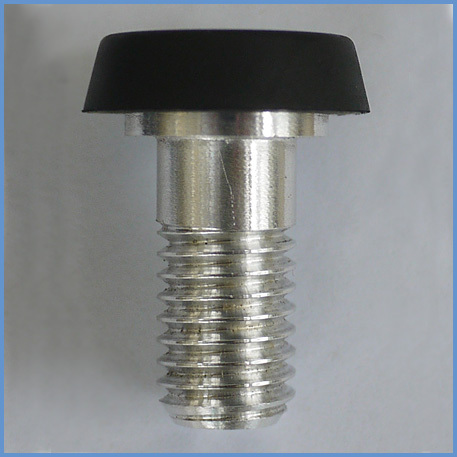 You will receive the extension along with a replacement rubber bumper with a screw attached to it. Simply pull off the existing rubber bumper from the back of your OB cue and screw in the new bumper with the screw attached to it. Then once you are ready to use your extension you can quickly attach it to the back of your cue as the extension comes with a quick release joint. You can leave it on your cue all the time or only use it when you need some extra reach. The extension is maple painted black and has a quick release joint. 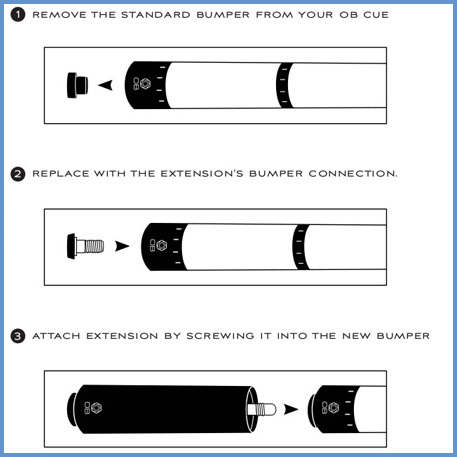 The extension weighs 4.75oz and the extension bumper with aluminum screw weighs 0.4oz (FYI: The original OB bumper that you will remove from your cue weighs 0.2oz). Please note that this is a new item and if you place a pre-order then you can expect your order to ship as soon as we have them in stock - OB are shipping these to dealers no later than November 17th.